Colour blocking may have started it’s life on the catwalk but it is now a staple interiors trend and is going from strength to strength in 2018. This fun trend plays right into my hands as a designer who absolutely loves colour. 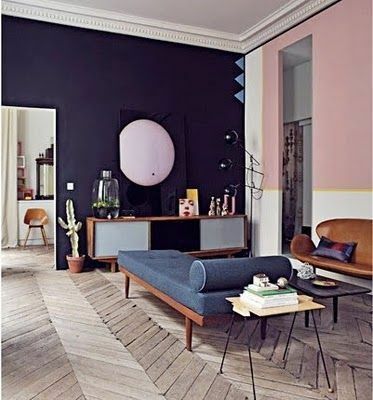 This living room just oozes cool and is a great way to do colour blocking in a more subtle way. The combination of blush pink, navy and mustard yellow are fabulous and it’s all pulled together wonderfully with mid-century furniture. 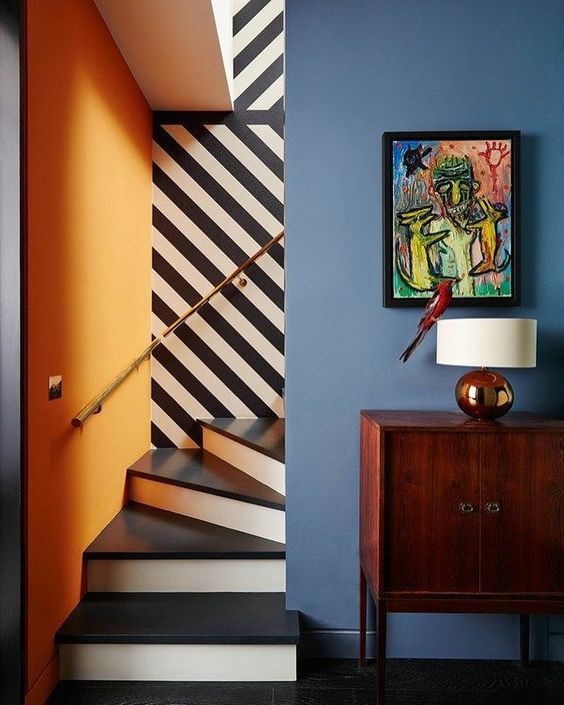 I just love the mix of pattern and colour in this fab stairway. The block colours mixed with the black and white stripes looks amazing and super stylish. 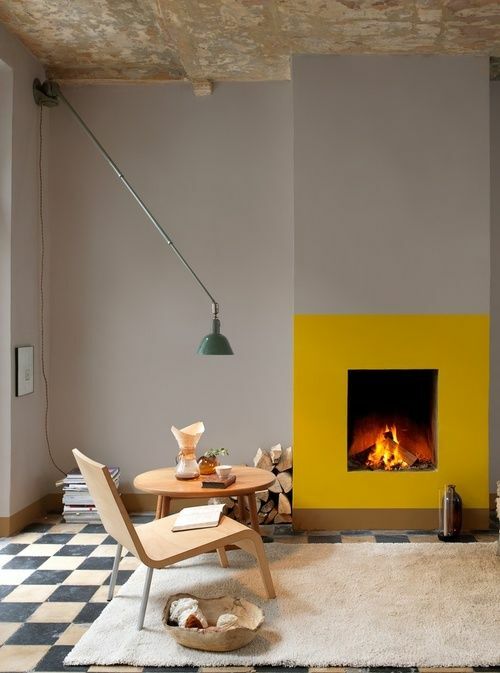 I love the way they have used the yellow in this room to create a fireplace. It is a really simple yet effective way to create a focal point in the room. It’s totally versatile too, get bored of the yellow then simply change the colour and you have a whole new look without the expense of a new hearth! Now this is a similar idea to the fireplace hearth. They have used colour to zone the spaces in the room. The yellow area defines the workspace in the room and gives the illusion of more space, giving different activities defined zones. 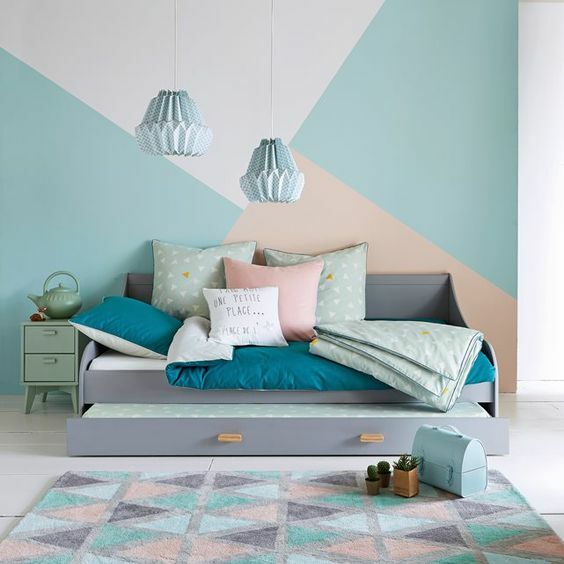 Another way to embrace this trend is using colour to create a geometric pattern on your walls which is a great alternative to wallpaper and is super easy and cheap to do (get the frog tape out). I love the subtle pastels used in this bedroom, which give it a serene and relaxing feel. Colour blocking doesn’t need to be confined to inside. 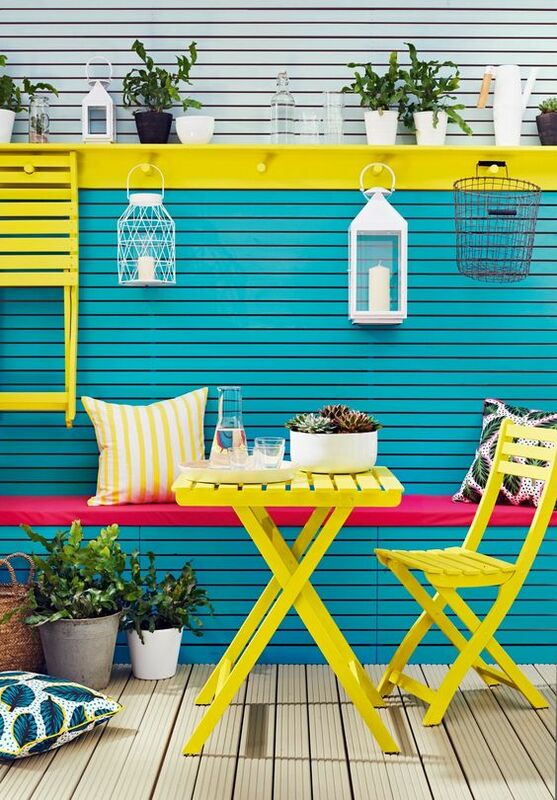 This fabulous garden design from House Beautiful is sure to brighten up even the greyest of days! So there is a just a snippet of some of the ways you can bring colour blocking into your home. Next week I will be pulling together some of my favourite products from this trend and I’ll show you how you can recreate this trend at home!